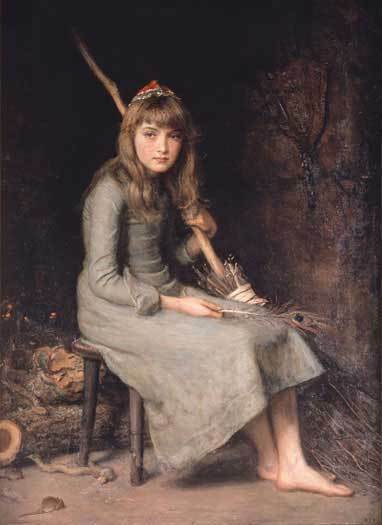 Millais सिंडरेला. सिंडरेला painting. Wallpaper and background images in the Fairy Tales & Fables club tagged: fairy tales cinderella. What a wonderful painting. I love how she's holding a peacock feather, fortelling the riches that will soon come her way.